Georgetown is an antique-lover’s destination. Sprinkled about the various retail shops and art galleries, a good, small, independent antique shop is quite common in this quaint Washington DC neighborhood. With little information online for out of towners, we thought it’d be helpful to put together a simple guide for antiquing across Georgetown. In that vein, here are a few of our favorite shops. Cherub is difficult to notice from the street, with a simple, gold-plated placard marking its entrance. Inside, however, this antique shop is quite memorable. Their impressive collection of antiques spans from various pieces of art to pottery and porcelain to some charming home furnishings. The shop’s signature, so to speak, is its wild collection of cocktail shakers and barware. To deck out your home bar with some near century old paraphernalia, stop by this super interesting antique shop in Georgetown. Random Harvest is one of the more well-known antique shops in Georgetown. Their hand picked collection of vintage furniture and passed down accessories is incomparably reliable. Constantly cycling in new pieces, every trip to Random Harvest feels like a completely new experience. Their delightful style and expansive inventory is premier on the Georgetown antique scene. Frank Milwee Antiques is the place to go in Georgetown for a personal and attentive antiquing experience. A small, independent shop, the findings at Milwee are always one of a kind. Known for having an exceptional collection of silver and home accessories, there seems to be something for every kind of buyer at Frank’s. 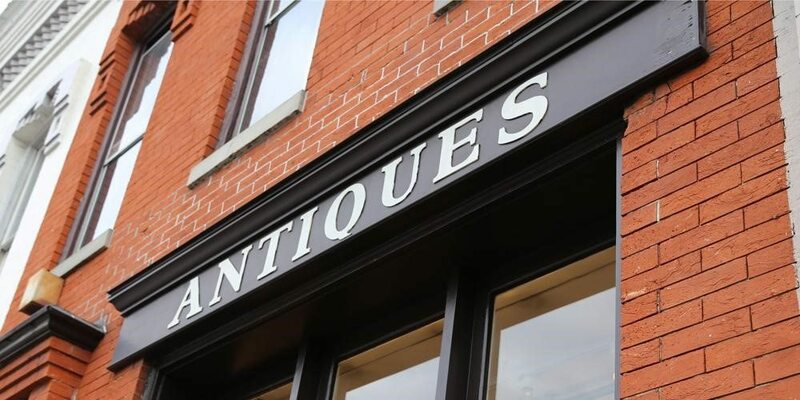 Complimenting the personality and accountability of our other favorite antique shops in Georgetown, Frank Milwee Antiques exemplifies the breadth of antique attractions right here.